Deciding whether or not to replace the roof on your home, or to try and repair it, is an extremely difficult decision to make. 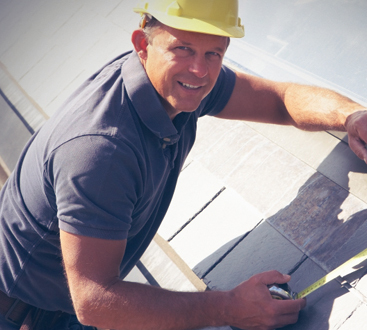 After all, no matter the size of the repair or remodel, fixing your roof is a large investment. Here at 1800 Roof Plus, your roofer in Brick, New Jersey, we understand how stressful of a decision it can be to fix or replace a roof. Because of this, we want you to contact us and request an initial assessment so that we can help you determine what choice is best for you. When you choose to enlist the services of 1800 Roof Plus you are making a clear decision that quality is something that is important to you. In fact, the quality of our work knows no bounds as we both utilize quality roofing materials, as well as high-quality, experienced, knowledgeable, and professional roofers. If you are looking for a roofer in Brick, New Jersey that will not only do a great job repairing or replacing your roof, look no further than 1800 Roof Plus. Why do we use quality roofing materials? Well, as they say, “you get what you pay for”, so we see nothing wrong with acquiring materials that are ensured to last for years to come. While it is very important to use high-quality roofing materials to roof your home in Brick, they won’t do you much good unless they are installed by the correct team of roofers. If you are looking for a team of highly-qualified, experienced, knowledgeable, and professional roofers in Brick, look no further than 1800 Roof Plus. Our roofers go out of their way to ensure that repairing or replacing your roof impacts your life as little as possible. Additionally, our roofers specifically tailor the work that they do, as we understand that every different roof needs its own specific repairs — there isn’t a “one size fits all” repair for roofs. It is no secret that every roof will at some point in its lifetime require repairs or replacement, but when exactly do you know that your roof is in need of work? It is much easier to determine if your home in the Brick area is in need of a new roof. Repairs are often visible in some way, making it quite obvious that it is time to call your local Brick roofer. 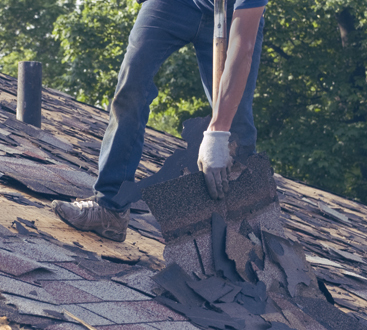 Necessary repairs that are quite obvious to the untrained homeowner’s eye might consist of structural damage as a result of a branch falling, wind damage resulting in roofing materials being blown away, water damage as a result of a leak, and damaged shingles as a result of hail or some other variation of a storm. While sometimes it is quite obvious that your roof is in need of replacement, at other times it is not quite as clear. If you see a spot on your roof that seems like it could be potentially damaged, yet you are just quite not sure, be sure to call a roofer in Brick like us here at 1800 Roof Plus — as we would be more than happy to come to conduct an assessment on your home. While knowing that you need a roof repair is usually obvious because the roof has sustained some sort of isolated damage, it can be quite hard to determine if your roof simply needs to be replaced. 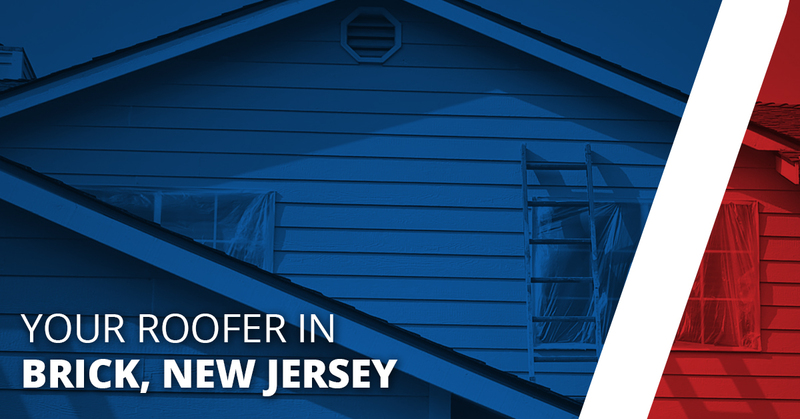 The roof of your home in Brick, New Jersey may need a replacement for one of two reasons — the extent of the damages were simply too large for a simple repair, or that the roof is simply old and due for a replacement. While again, it is quite easy to determine if the roof needs to be repaired or replaced as a result of damage, it is sometimes hard to tell if roofing materials need to be replaced simply because of their age and deterioration. The best way to determine if your roof in Brick, New Jersey needs to be replaced is to conduct a brief inspection for abnormalities by yourself twice a year and to have a Brick roofer like us at 1800 Roof Plus inspect your roof once every three years. If you have any reason to suspect that your home’s roof is damaged, or if you are unsure and want a second opinion, contact us at 1800 Roof Plus — your local Brick roofer. We will send one of our experienced roofers to your home to assess the damages of your home, as well as to schedule a date for roof repair or roof replacement. For the best roofer in the Brick area, be sure to contact 1800 Roof Plus. Additionally, we offer a multitude of other services like siding services, gutter services, window services and condominium services. Check them out today.